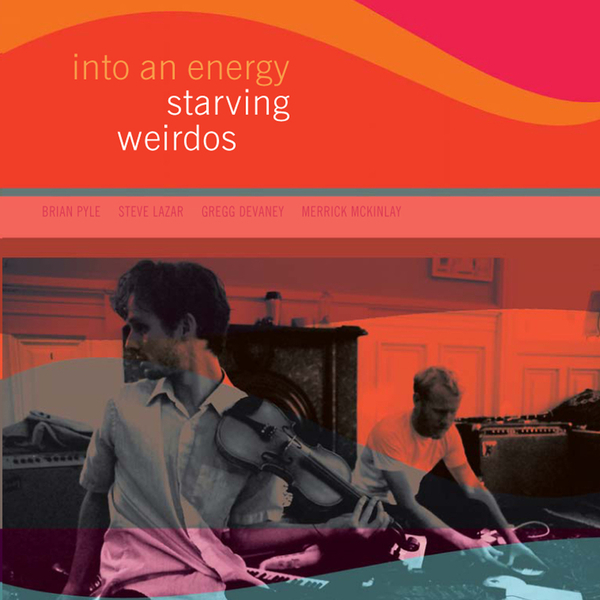 An intense and dizzying experience, this new collection of works by Californian duo Starving Weirdos arrives on Bo Weavil with a droning density that's at first intimidating. This music is often rather difficult to unravel, and you'll find yourself hopelessly trying to pick out individual instruments among the incendiary clamour, losing your way trying to discern what it is exactly you're listen to. Drifts of primal, atavistic sounds intermingle with more austere droning passages, lurching around in a strangely distant recording scenario that's part-live performance, part- carefully sculpted production. In its most intense moments Into An Energy recalls the battered psychotropic ambiences of Yellow Swans or Hototogisu recordings, but pieces like 'Dawn In The Distance' and 'Ocean Seal Concentration' reveal that this is a band that has more subtle experimental form on its agenda too, rifling through arrhythmic percussive elements and harmonically cohesive passages of sustain.